Come out and let your voice be heard this election about the needs of people with disabilities. 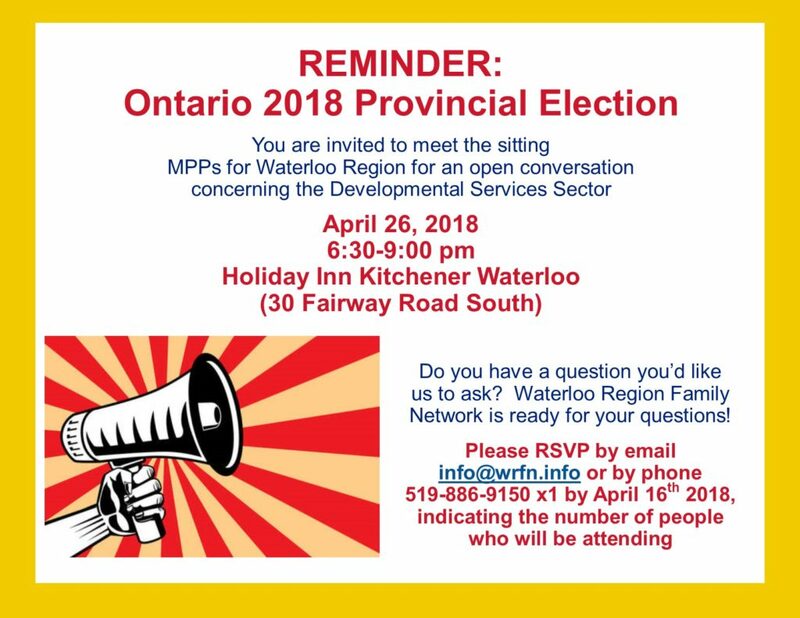 You are invited to meet the sitting MPPs for Waterloo Region for an open conversation concerning the Developmental Services Sector. Do you have a question you would like to ask the MPPs? Please submit them to info@wrfn.info. Please RSVP by email info@wrfn.info or by phone 519-886-9150 ext. 1 by April 16th, indicating the number of people who will be attending.